Tarte au noix du Périgord "Milla"
"BRASSERIE - Topping, decoration, dishes... and geographic location of course (at the center of the 7th arrondissement of Paris): Le Bistrot de Paris has everything of an authentic and refined Parisian brasserie where we love to get together around a good meal. AROUND THE PRODUCT - Quality products that exude perfect mastery of French cuisine, this is the credo of this table that relies on long-standing know-how: Chicken liver terrine, skate wing with capers, rack of lamb, vanilla millefeuille or chocolate profiteroles. CELLAR - Wine card, provided and updated, will delight connoisseurs and lovers of good wines or with the perfect food/wine harmony." Great service, very average food. Et en plus c’est excellent !! Fabulous dinner on our first night in Paris. Staff gave us a warm welcome and made us feel very comfortable, especially our water, Sebastian, who helped us navigate the menu with my high school French and his recommendations for wine and food. Overall a very pleasant experience. Lovely food, great staff, a very pleasant lunch! Great friendly service, offered free wine for booking online! MUSt try their house Millefeuille . Absolutely delicious! After three days in Paris, our best meal so far. Very welcoming to four ladies. Thank you. We had an amazing meal and time here! 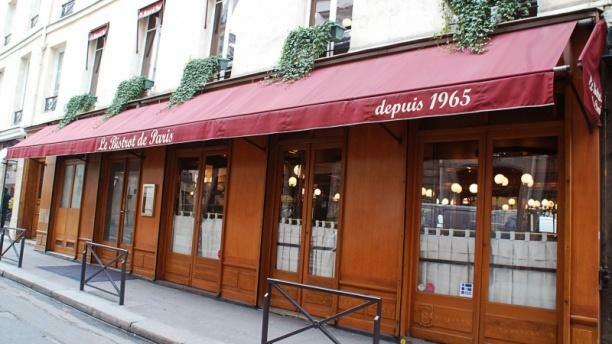 One of the best in Paris! We arrived at 7:30 and were seated at an excellent table. The service was excellent. They were very nice even though we spoke little French. The escargot, foie gras, calf’s liver and scallops were excellent. I enjoyed the experience and I would go here again because of their service. Great atmosphere and lovely food. Great service, waiter was super nice, definitely recommending for them! Food was good as well. Fantastic food and service. The rack of lamb is excellent. Sebastian, our waiter was phenomenal. Entertaining, helpful, and professional. We will be back!